Ben Cauchi was born in Auckland in 1974; he obtained an Advanced Diploma in Photography from Massey University, Wellington, in 2000. 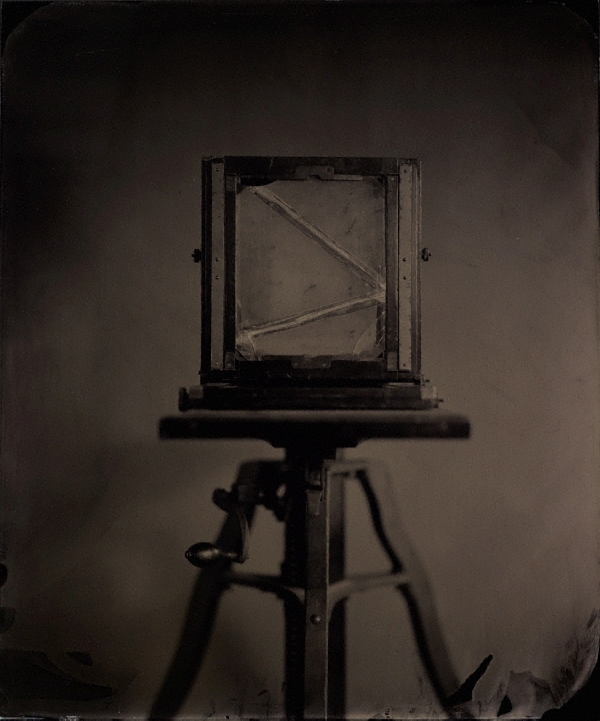 In his practice Cauchi uses traditional printing methods, such as ambrotypes and tintypes, to create darkly ethereal, contemplative images, which pose questions about mortality, the subconscious and pictorial representation itself. 'Dead time', 'A sign of things to come' and 'The start of it all', are examples of Cauchi's recent ambrotypes. They continue his interest in early photographic processes and the exploration of ideas of temporality, the photographic trace and photography's inherent self-reflexivity. In these later photographic works Cauchi has consciously stepped away from his earlier practice of utilising 19th century Japanese style ambrotype framing which created a literal and figurative frame. Cauchi now reveals the edges of the image, allowing the illusion to float more freely. Physically the works possess an almost magical holding power. Printed on glass the analogue photographic 'trace' glistens on the surface. This present-ness meets concurrently with a sense of absence, the knowledge that what we are seeing is merely photographic, not here, and no more tangible than the time it depicts – 'dead', as it were, expired. This tension between the images' resolute and traditional photographic-ness and their embedded and undeniable conceptual-ness, is arguably in line with much of the dead-pan style evident in contemporary photography since the Bechers. The genius of Cauchi's work is the way he forces us to process these two modes simultaneously, enabling a collision of conceptual photographic discourse with the fact of the matter – the photograph itself. The 'authentic' photographic practice of chemicals and light is thus played off against the conceptual notions of art. New Victorians , 2008, (illus. ).